• 9 Dec 2009 – Mr. Eric Koh of Equine Sanctuary has been co-opted a Committee Member of TOAST. • 5 Dec 2009 – Council Member, TOAST, Mrs.Yuki Otani tendered her resignation. • 3 Nov 2009 – The Melbourne Cup Buffet organized by the Singapore Turf Club, invited and gave Ms. Constance Cheng, President of TOAST, a complimentary table. Ms. Cheng won the Winner Draw and Ms. Julia Ho, Vice-President, TOAST also won the Winner Donation Draw of S$50.00, which was carried out by the Melbourne Cup Lunch Event Organizers. 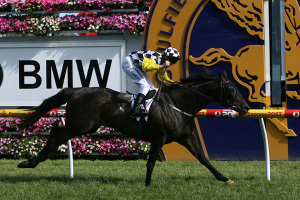 • 1 Nov 2009 – Owned by Tang Weng Fei and other partners at Jupiter Stable, "Better Than Ever" was well ridden by Jockey Saimee Jumaat to victory at the Group 3 S$200,000 Stewards' Cup (1400m). 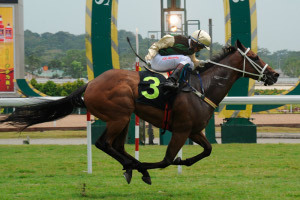 It was a win by one and a half lengths over Jockey Danny Beasley ridden "Always Certain" and Jockey Oscar Chavez ridden "Super Lucky Colour" came in third at eight and a half lengths away. We are pleased to announce that all 3 horses are owned by TOAST Members. 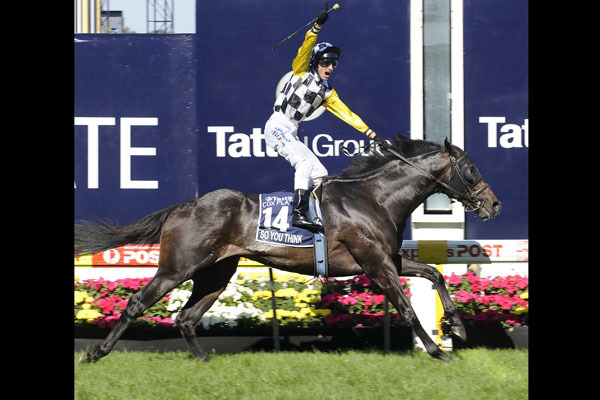 • 24 Oct 2009 – Dato Tan Chin Nam, the proud Owner of “So You think” that was ridden by Jockey G. Boss won the Group 1 Tatts Cox Plate over 2040m. It was a glorious win for such a supremely talented colt that was rated as one of the greatest three-year-olds in the modern era. 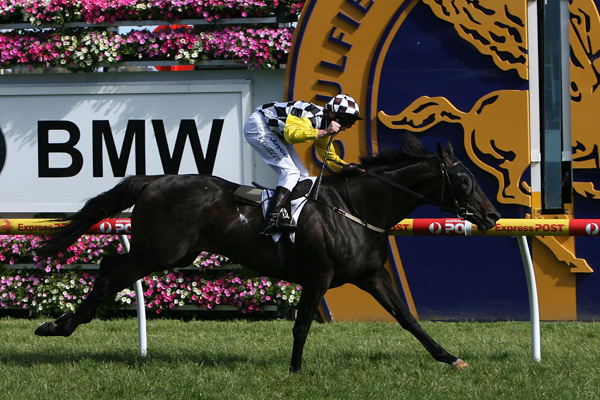 • 17 Oct 2009 – Dato Tan Chin Nam, the Owner of “Viewed”, 2008 Emirates Melbourne Cup winner, won the Group 1 Caulfield Cup (2400m) ridden by Jockey B. Rawiller. The Tote Dividends paid A$96.00 for a Win and A$36.00 for a Place, respectively. • 5 Oct 2009 – It was lunch at Prima Tower with Mr. Soong Tze Ming, STC Senior Vice President (Racing) to discuss general matters (Mr. Lau Kian Heng, STC Senior Vice President (Operations), was unable to attend). Also present was Mr. Eric Koh, the Managing Director of Equine Sanctuary. The discussion brought up the need to hire qualified personnel who are able to professionally train Apprentice Jockeys, Trainers, Farriers, and Strappers in the STAR Programme. • 1 Sep 2009 – Mr. Philip Sia used to be a Starter and Coach in the STAR Programme for training Apprentice Jockeys at the Singapore Turf Club (STC). For his love of horse racing, he continues to pursue this sport by taking up a stake in TOAST Trust No. 16 “Smoking Joe”. He hopes TOAST will continue to increase awareness in owning thoroughbreds and to promote this “Sport of Kings” to newcomers, especially the younger generation. • 18 Aug 2009 – “My family and I love watching horses. Having learnt about TOAST, it opens up a great opportunity to increase my interests in horses and I am proud to be a “co-owner” of a thoroughbred. TOAST has provided me a more affordable alternative to continue my interests,” said a delighted Ms. Anthea Goh, an owner of a mortgage brokerage firm in Singapore. 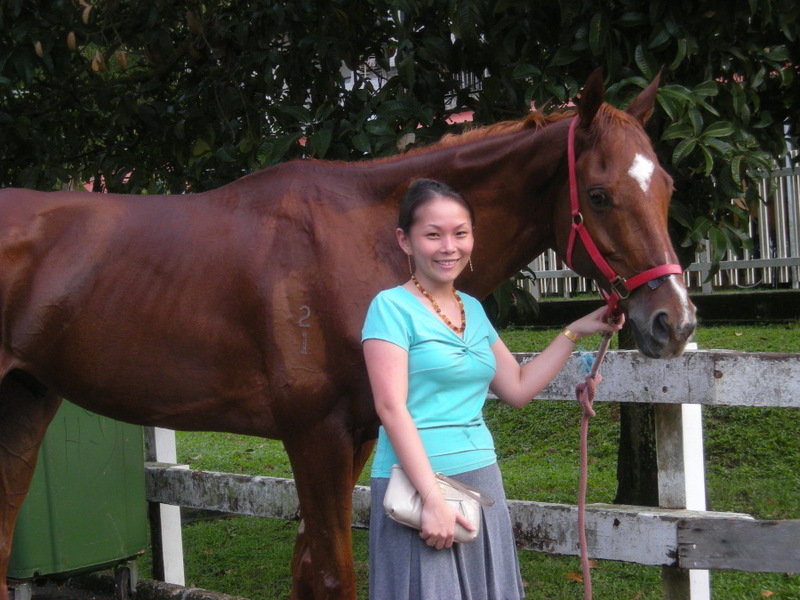 Ms. Goh has recently taken up horse riding as her hobby and sport. • 14 Jul 2009 – TOAST Trust No. 12 has been pre-terminated. The lease for the horse, “Triple Your Luck” has been terminated early due to the horse’s poor ability and it has been sold to Malaysia. • 12 Jul 2009 – TOAST Trust No. 14 Horse, “Look At Me” being well ridden by Jockey M. Kellady had his second win at the S$55,000 Emirates Paris Stakes Class 4 Division 3 (1400m). 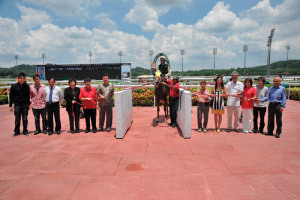 The Tote Dividends paid S$364.00 for a Win and S$75.00 for a Place, respectively. • 15 Jun 2009 – Ms. Tan Bee Choo, Singapore Turf Club (STC) Vice President (Corporate Services), and Mr. Simon Leong, STC Senior Manager (Marketing & Facilities) met up with TOAST Committee Members for an informal lunch at Prima Tower Restaurant. A few issues were discussed, more notably the distasteful advertising of females on the back cover of the racing booklet. This was previously omitted after TOAST had given feedback. (Regrettably it returned in Jan 2010, and was once again taken down in Feb 2010 after TOAST had given feedback to Debra Hawkins, STC Senior Manager - Ownership Liaison and Services). Once again, there was a need to look into improving of the Food and Beverage. 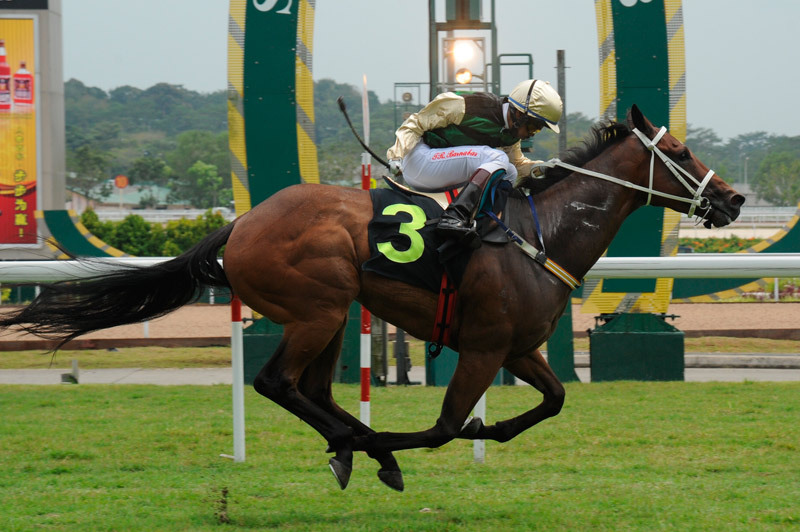 • 29 Mar 2009 – TOAST Trust No.14 Horse, “Look At Me” was ridden by Jockey J. Moreira to victory in the S$65,000 Restricted Maiden race (1200m). The Tote Dividends paid S$33.00 for a Win and S$11.00 for a Place, respectively. • 20 Mar 2009 - TOAST thanks Mrs Lily Ho for the preparation of the TOAST Statement of Accounts for year of assessment 2009 and members Ms Esther Ko Hong Bee and Mr Lim Swee Ann who volunteered to audit the accounts for year of assessment 2009. 1. The need for improvement in Food and Beverage (F&B), as poor quality food was served at the Owners Lounge, as well as the catered food at the Corporate Boxes. 2. 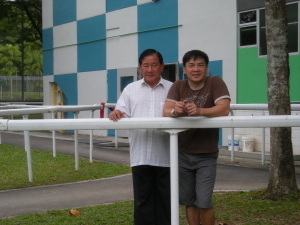 An exchange of views on the hypothetical question if STC had S$1 million to spend, would owners prefer it allocated to lower classes or feature races (This was eventually not materialized but STC had since introduced six mini feature races and increased the Reward credit from $750 to $900 in the months after the Dialogue). 3. Request for Greenery Spelling Station land was raised by TOAST (After some initial survey by STC, they decided the matter will not be further looked into). • 14 Feb 2009 – TOAST Trust No.13 Horse, “Love Academy” ridden by Apprentice Jockey T. Barnabas won the Class 4 Stakes over the 1200m on Valentine’s Day 2009. 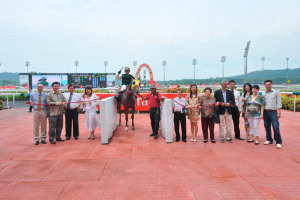 The Tote Dividends paid S$22.00 for a Win and S$6.00 for a Place, respectively. • 22 Jan 2009 – TOAST Trust No. 9 Horse, “Kamsky” was pre-terminated for extension on 23/12/08, and was deleted without TOAST Riding Manager’s signature. As a result, “Kamsky” was retired to the Bukit Timah Saddle Club and is now owned and ridden by Ms. Constance Cheng, President, TOAST. • 14 Jan 2009 – Ms. Rosemary Yap, TOAST Committee Member, and Ms. Doreen Choo, TOAST Member represented TOAST to attend a Singapore Symphony Orchestra (SSO) Concert at the Esplanade Concert Hall in celebration of the SSO's 30th Anniversary. 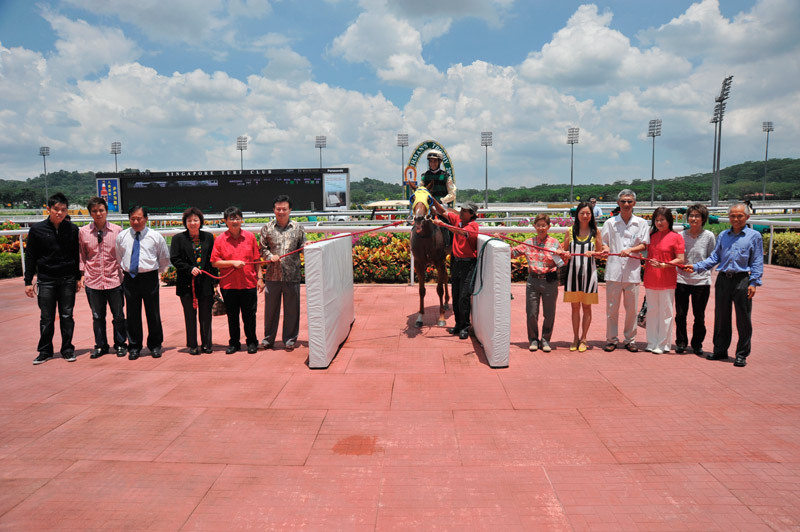 The Singapore Turf Club and its parent organization, the Tote Board are long-standing benefactors of the SSO. The honorable Prime Minister, Mr. Lee Hsien Loong and Mrs. Lee were Guests-of-Honour on that night.